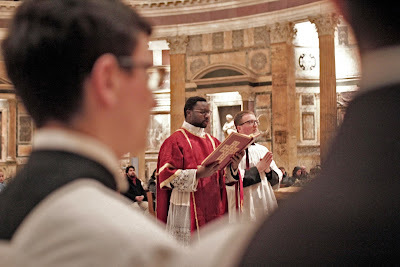 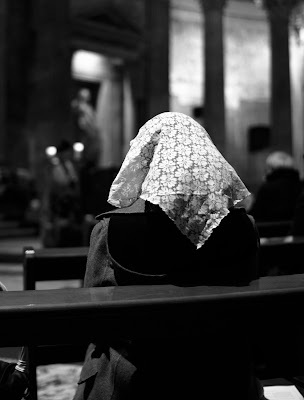 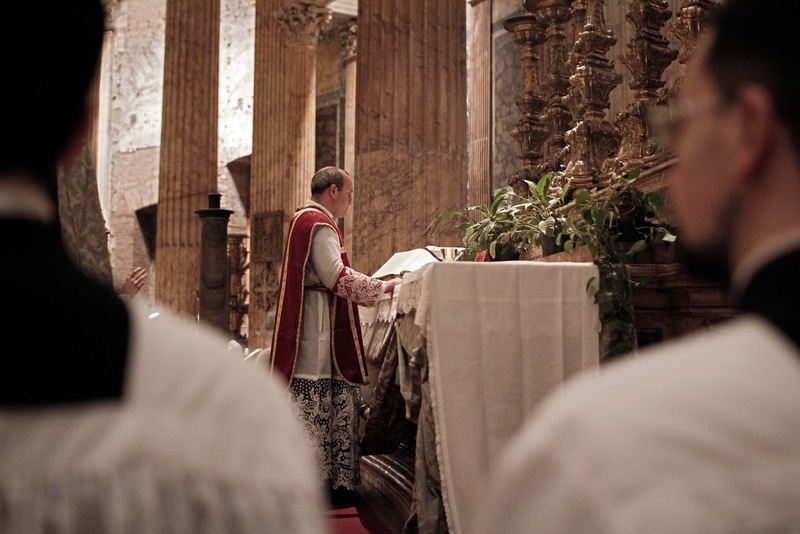 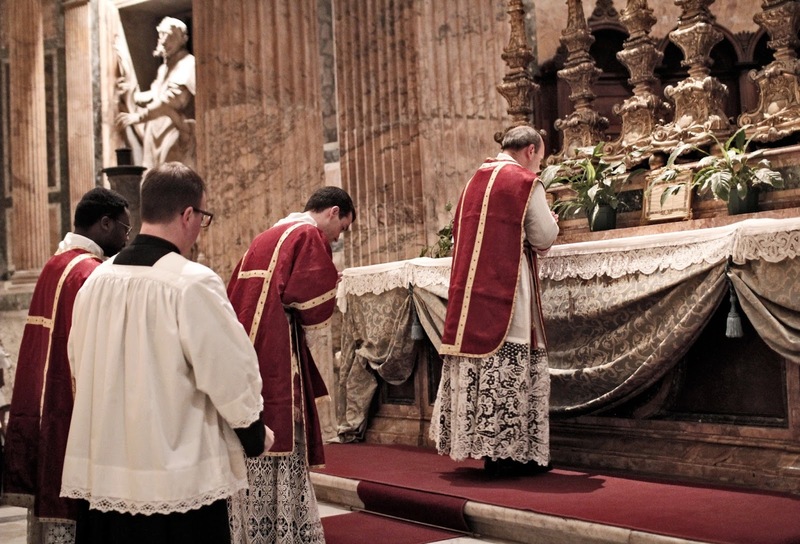 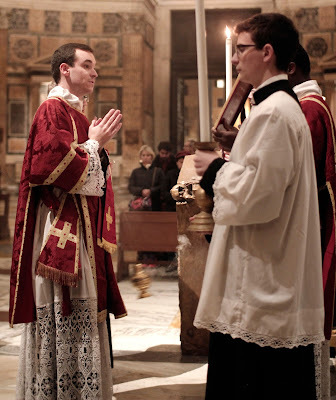 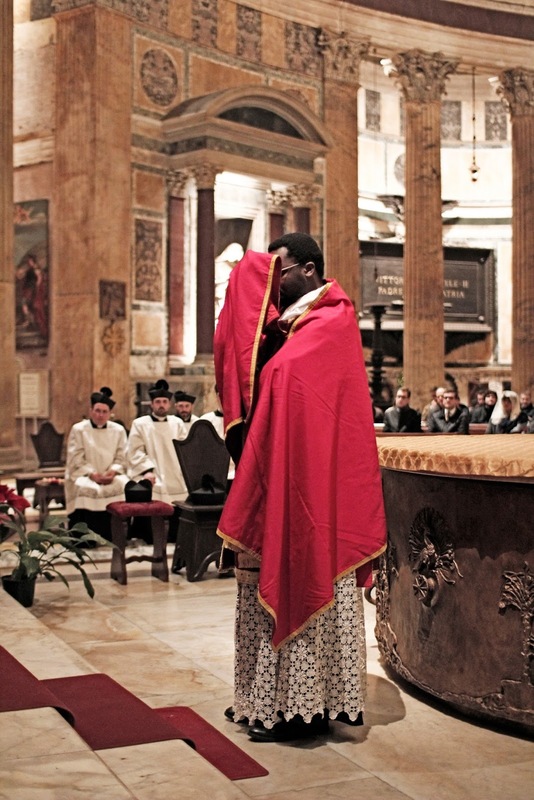 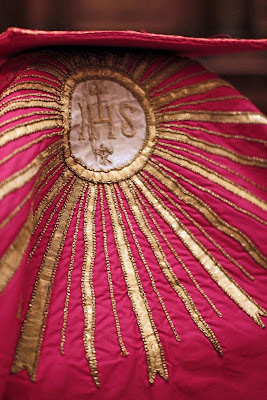 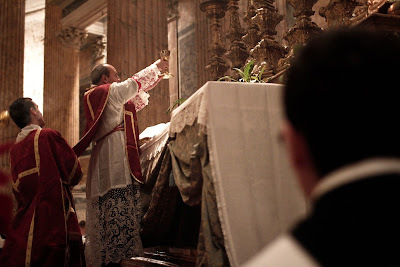 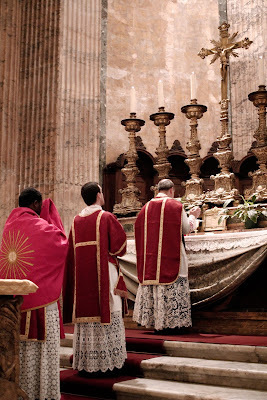 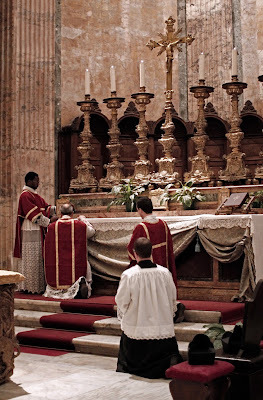 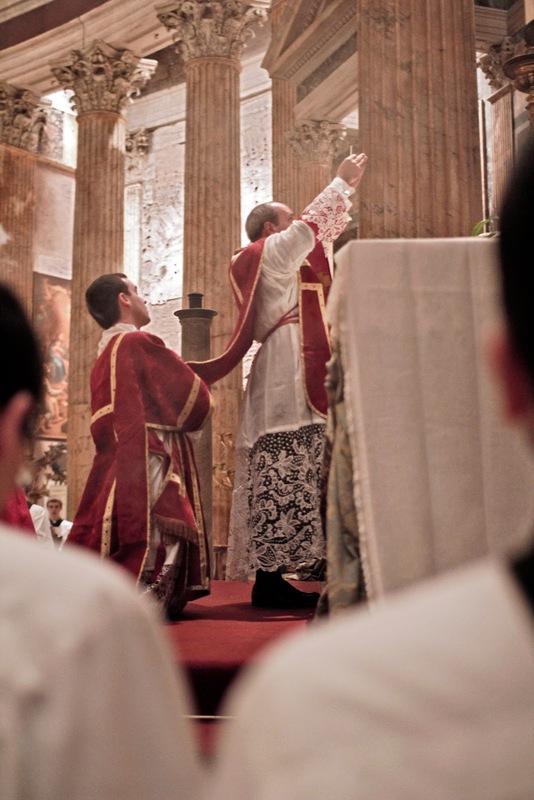 Last Friday, a solemn votive Mass for Vocations was offered at the Pantheon; this event was organized by Tridentini, a newly formed group of students from the Roman Pontifical University who gather each month at a different church to offer a Mass for Vocations under the auspices of Don Matthieu Raffray, IBP. Here are some photos, courtesy of Mr Marc Williams. 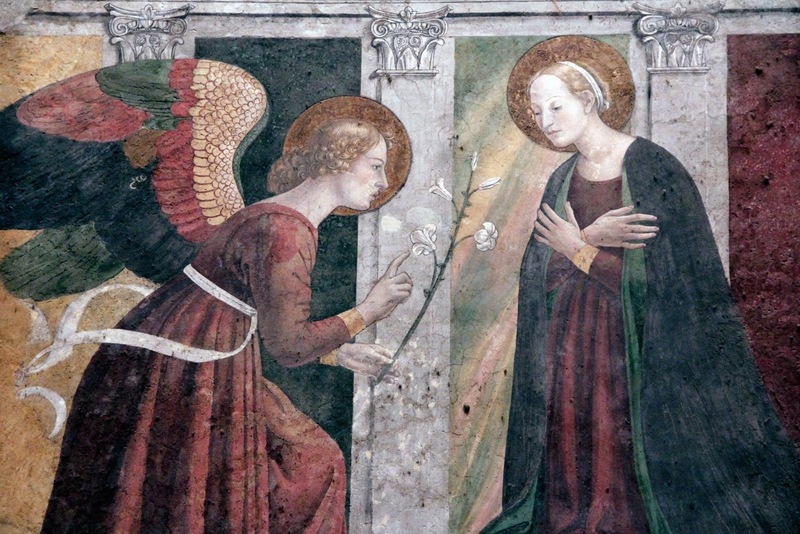 A fresco of the Annunciation by Melozzo da Forlì, ca. 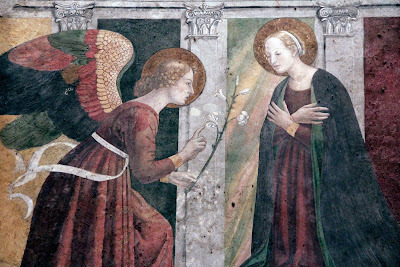 1480, in one of the side chapels. 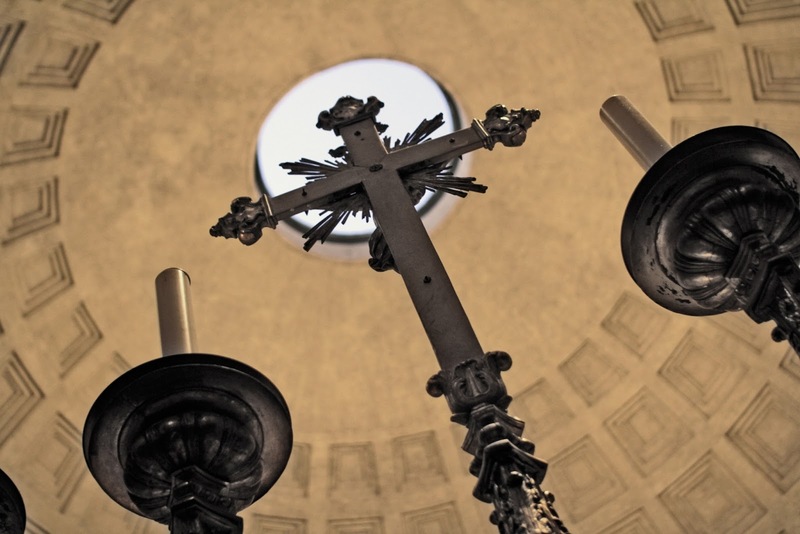 A particular good shot of the famous oculus, the large hole it the middle of the Pantheon’s dome. Crux stat!